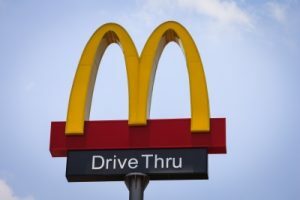 McDonald's Workers Stage Protests In Spite of Voluntary Pay Increases - Neil H. Greenberg & Associates, P.C. May 7, 2015– Earlier this year McDonald’s Corporation announced it would be voluntarily raising its base pay to $9.90 an hour. This figure exceeds the current Federal and State minimum wage requirements. While the fast food giant’s compensation also exceeds the base pay for numbers of large employers throughout the United States it is far below the increase sought by a vocal band of fast food workers that call themselves Fight For 15. Fight For 15 is an emerging band of increasingly organized fast food workers seeking a base pay of $15 an hour as their minimum wage. These workers make it clear that it is more than a matter of principle for them. It is economics. The group, through its video and literary campaign, have spotlighted full-time employees with several years of employment with McDonald’s, and similarly situated companies, that are unable to meet the most basic of household expenses. Many of these full-time employees are on government assistance because their full-time pay does not exceed the established poverty line. Fight For 15 is looking to dispel the notion that being on government assistance and lacking work ethic are synonymous concepts. They argue they are just being undervalued and underpaid. McDonald’s workers have announced their intention to stage a protest at the May 21st Annual Shareholder’s meeting to highlight the economic plight of the workers. They intend to present a petition signed by, over, 1 million Americans calling for the pay raises they are seeking. This would not be the first such protest by the group. Meanwhile, McDonald’s is in the midst of increasing economic pressure from rising food costs, diminishing sales, and competition. Announcements have been made to close a number of locations and to undergo a revitalization of the company into a more “progressive” burger company. New CEO Steve Easterbrook has made verbal commitments to address training, pay, and benefits on an ongoing basis; however, with 420,000 workers nationwide he has been unwilling to commit to a, more than, $6 per hour increase per worker. The economic impact of this dramatic increase on the company is unclear. Workers and employers across the country are carefully watching the McDonald’s saga unfold. The impact of the changes, or resistance thereto, for such a large employer and industry leader will likely resonate far beyond the purview of the Golden Arches.